School holidays always present dilemmas for parents. Even a day trip to somewhere nice can be met with a lukewarm response. Here at We Are Cornwall we have decided to harness the magical power of books with ten suggestions for fun days out during half term all around the county which have been inspired by books children love. A charming book first published in 1930 about the young Walker children and friends the Blackett girls spending a summer being taught to sail in the Lake District. Head for… The National Maritime Museum Cornwall in Falmouth which has special activities for the half term holidays including an Awesome Adventurers playzone. There are plenty of “Swallows and Amazons” boats to be found as the museum houses the National Small Boat collection. You can also climb into a life raft, a lifeboat or go on a jet ski. Kipling spent his early life in India which inspired a collection of stories he wrote for his daughter in 1894. The story of Mowgli, the man child, and the animals who raised him – led by Baloo the Bear – has enchanted generations who may have discovered it first through the Disney musical. 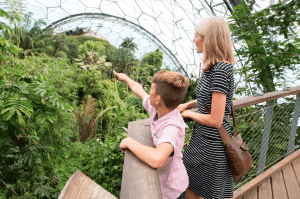 Head for… Trebah Garden, a sub-tropical paradise with a stunning coastal backdrop where a rich canopy covers exotic blooms. Even in autumn the gardens are atmospheric and enchanting with plants from the southern hemisphere flower still in flower. Giant gunnera and tree ferns could easily pass for the jungle. The good news is that admission for children in October is free! Published in 1910 it is the story of spoilt, sickly Mary Lennox who is orphaned and goes to live with an uncle on an isolated moor. The Secret Garden she discovers helps to heal her and those around her. Head for… The Lost Gardens of Heligan, which have a similar, magical story having been discovered after being abandoned and overgrown and then restored to full health. The gardens were at the heart of a productive estate at the end of the 19th century, but the loss of the workforce in the trenches of the First World War saw them forgotten and forlorn. They were rediscovered 25 years ago and reawakened. Children love the story of Mr and Mrs Twit who love playing tricks on each other and the idea of Mr Twit’s smelly beard. One of Roald Dahl’s brilliant books for children. Head for… the Eden Project which this half term will be bursting with villains from some of Roald Dahl’s popular books in an event called Halloweden. Follow the trail of immersive experiences based on The Twits and four other Dahl stories. Mr and Mrs Twit’s house is full of terrible tricks and pranks, the BFG’s cave is a mystical wonder – just make sure you don’t wake the sleeping giants - and Matilda’s formidable headmistress Miss Trunchbull sets some demanding sports day challenges. Learn how to spot real witches and travel through tunnels to find plump chickens with Fantastic Mr Fox. Published in 1906 and the story of Roberta, Phyllis and their brother Peter who find themselves living near a railway line in the Yorkshire countryside when their father is jailed. They have all sorts of adventures and find a friend in the stationmaster, Perks. Head for… An authentic steam train experience at the Bodmin and Wenford Railway which is steeply graded for most of its length with lots of curves providing a lovely two-hour trip through Cornish countryside. Trains stop at Bodmin General and lovely Bodmin Parkway. You might like to stop at Colesloggett Halt to walk in the nearby Cardinham Woods (but this is difficult for pushchairs because of mud, fields and stiles). Bodmin General is about half a mile from the town centre and has been restored to the way it would have looked in the 1950s. Here you will find refreshments, a souvenir shop and exhibition coachwith locomotives on display. Boscarne station is close to the Camel Trail. Alice’s adventures with the Mad Hatter, the Queen of Hearts, The White Rabbit and a cast of fascinating characters have enjoyed enduring popularity and affection since publication in 1865. Head for… Antony House near Torpoint where the movie Alice in Wonderland was filmed by Tim Burton in 2010. The 18th century National Trust house of silver grey stone, is one of the finest surviving Queen Anne buildings in the Westcountry. You can see the room used as Alice’s bedroom in the film and the Humphrey Repton designed garden which features topiary, modern sculptures and the National Collection of Daylilies. The Woodland Garden has outstanding rhododendrons, azaleas, magnolias and camellias. Treasure Island is a swashbuckling tale of buccaneers and buried gold stuffed with pirates, treasure maps and a one-legged sailor with a parrot. It was published in 1883. Head for… X marks the spot at Charlestown – a harbour virtually unchanged since its development by local landowner Charles Rashleigh (hence the name) during the Georgian period when it exported copper and china clay from the Westcountry around the world. 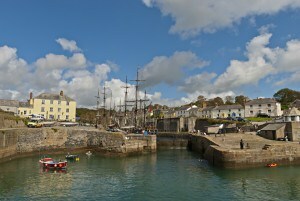 It appears much the same as it was in the early 1800s, with fine Georgian houses and a port bustling with ships arriving and departing and all the businesses associated with the trade – boatbuilding, ropemaking and victuallers. The Shipwreck and Heritage Centre in Charlestown is a timely reminder of the dangers of the sea with lots of fascinating finds. This book was published in 1877 just five months before the author died. It has since become one of the bestselling books of all time. The horse Black Beauty is the narrator of the story from growing up on a farm with his mother to hardship in the big city. The book helped to change attitudes to the treatment of working horses. 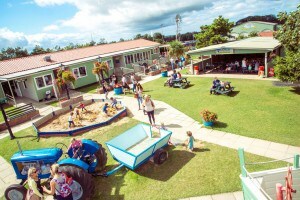 Head for… Dairyland Farm World near Newquay where you can see farm horses and enjoy pony rides. This is still a working farm where you can see cows being milked in the parlour or visit the Cornish Heritage Centre which shows how horses were once harnessed to mill the grain. There’s also an impressive collection of agricultural machinery and artefacts which dates back to the Second World War, nature trails around the farm and a big indoor play area. Charlotte is a spider who lives on a farm with Wilbur the pig. When she discovers Wilbur is going to be sent to the abattoir, she tries to save him by writing messages in her web. Head for… Newquay Zoo, which has a reptile house and some web-tastic spiders like the Madagascar golden orb spider. These arachnids spin large, strong webs out of a golden-coloured silk which can reach over six feet wide. The spiders are almost completely blind, only vaguely able to detect changes in light but use their keen sense of touch to feel vibrations on the web to quickly track down tangled prey. Enid Blyton is a brilliant writer for children and almost all of her Famous Five or Secret Seven adventures would inspire a day out. The Enchanted Wood was the first book in the Faraway Tree series about a wood with an enormous tree which reaches into the clouds where the children find magical creatures and mystical places. Head for… Cardinham Woods where you can follow market trails deep into the woodland with view points along the way. It’s popular with mountain bikers, horse riders and dog walkers. Young readers might enjoy The Gruffalo Trail (download an app at www.forestry.gov.uk) where clues will lead you to markers to see Mouse, Fox, Owl, Snake and the Gruffalo appear before your eyes.